Eastern Sierra Spring Skiing | Meghan Kelly Teles! It was Pat’s spring break and my friend Eric invited us down to his house near Mammoth for some spring ski touring. 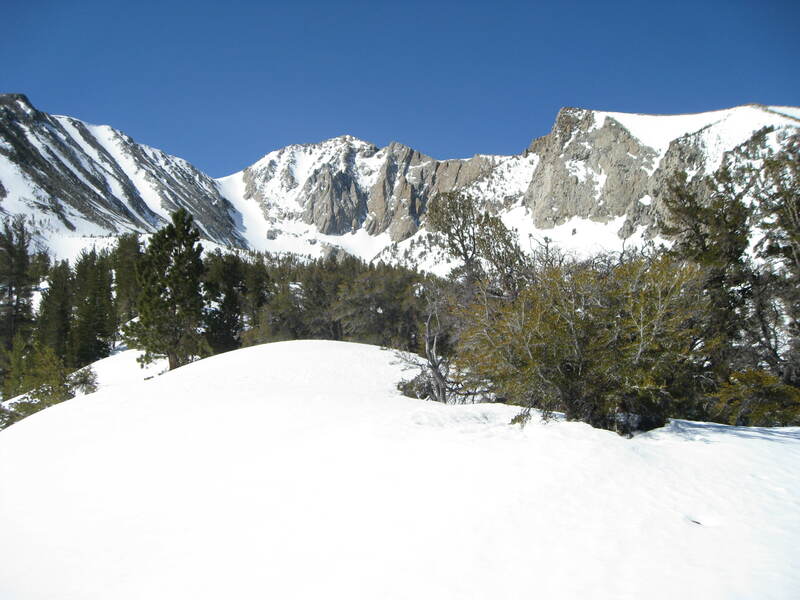 The Eastern Sierras is possibly one of the best backcountry skiing areas in North America. With big and aesthetic lines and a stable deep snowpack, there are endless possibilities. Add to that mix unique desert/mountain scenery, natural hot springs, and a 5 hr minimum drive from any big cities, it is a true getaway. On day 1 we set out to ski Mt. Gibbs, but the road to the trailhead was snowed in. As we hiked up the road, we realized we were much further from Gibbs than it appeared when we left the cars and we settled on skiing Mt. Lewis. 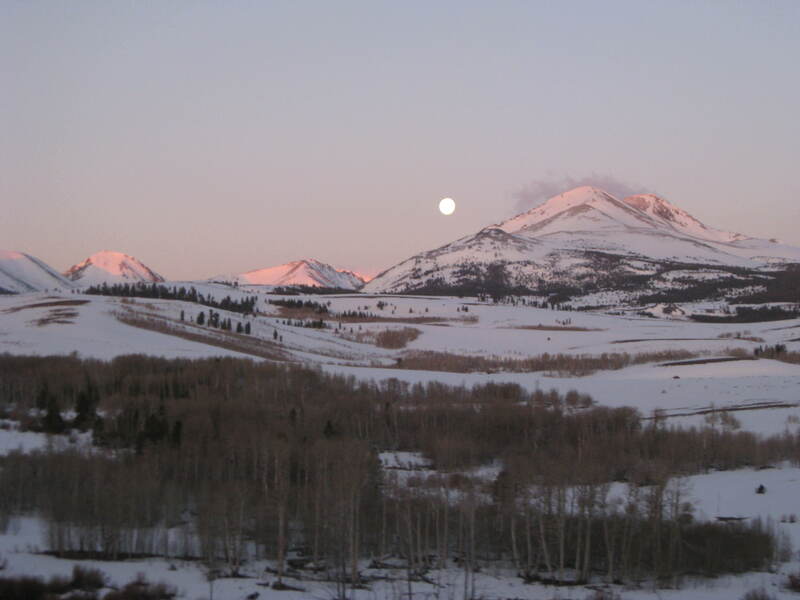 South/east sides of Mt. Gibbs – need to go back and hit this! After arguing with a super serious German dude about what we should ski (I think he was having a hard time differentiating between the Sierras and the Alps), we settled on a SE facing couloir. The rest of the aspects were not softening, even with ambient temperatures in the high 40s, because of a typical Sierra wind. The snow was perfect corn in the couloir and as we skied further down, staying on those south and east facing aspects proved key to getting soft snow. Here is my video footage from that day. The next day we did a shorter hike up Mt. McGee. 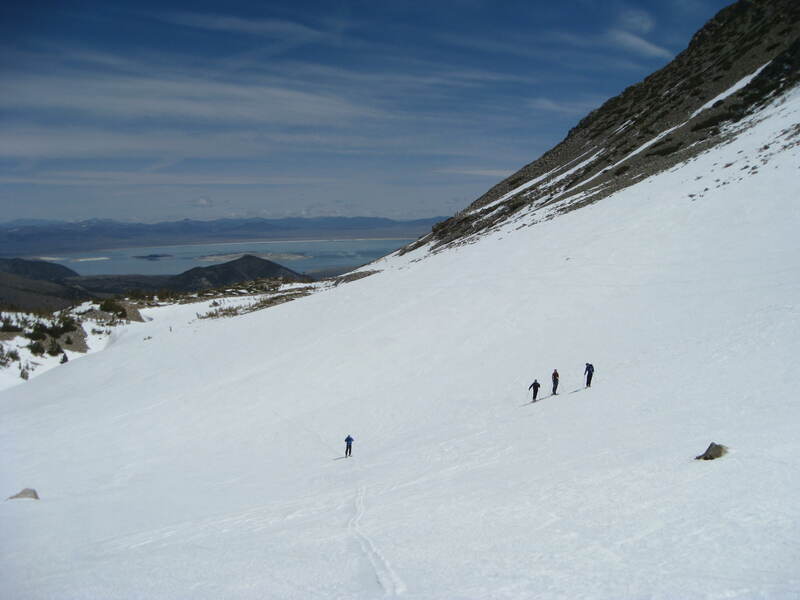 The weather was not ideal – a mix of wind and snain, so we hiked up as far as we felt like and then skied down to go soak in the hot springs near Mammoth. Spring time in the Eastern Sierras is always fun and with so many mountains to ski, it can be hard to leave. We returned to Tahoe in time to catch Yonder Mountain String Band at Montbleu and celebrate Pat’s birthday. Luckily, I’m returning to the Eastside in less than a week to start the Sierra High Route… which will probably have to be a multiple part blog post.